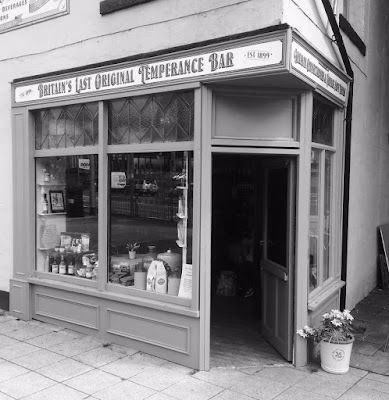 Visited the last Lancashire temperance bar the other day, Mr Fitzpatricks in Rawtenstall. A temperance bar is a type of bar, primarily in Lancashire, England during the 19th and early 20th century, that did not serve alcoholic beverages. "In the late 19th century, a number of such bars were established in conjunction with the Temperance Society. Originally, these advocated a moderate approach to life, especially concerning the consumption of alcohol; later, they moved toward abstinence from alcohol. 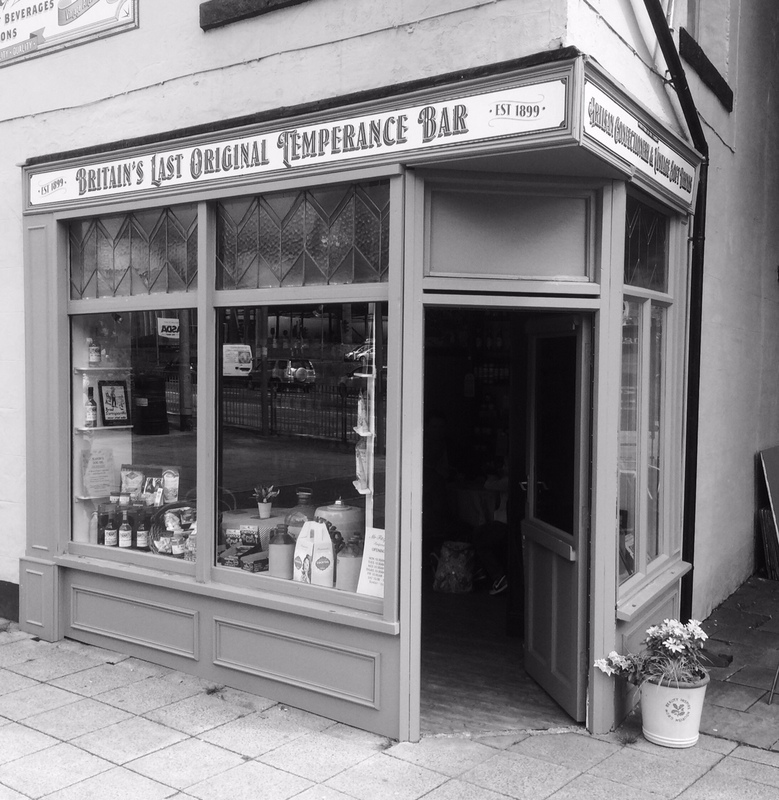 Temperance bars with full temperance licenses (allowing them to serve on Sundays despite English trading laws at the time) were once common in many high streets and shopping areas in the North of England. The movement had a massive following, fueled mainly by Methodists. 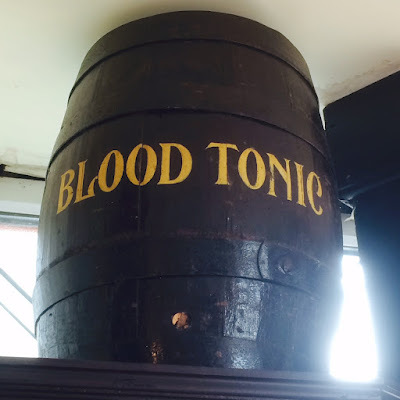 The bars quite often asked their patrons to sign a pledge of temperance, meaning that they would abstain from intoxicating liquors..."
They have the drinks (cordials) set up like spirits on optics behind the bar & order by the glass. Check out the menu selection on their very slick website - sobriety is clearly good for html 5 skills. I tried a rhubarb & rosehip, to quote them "Our poshest tipple, this is a refreshing blend of English Rhubarb blended with a Rosehip infusion" So now you know. They also stock all drinks in bottles to take out plus you can buy sweets from 1950s by weight. Definitely worth a visit, especially if you go up there on the ace East Lancs Railway. @visuals0und. Picture Window theme. Powered by Blogger.